Comic Book Cash, Issue #014 -- Five Origin and First Appearance Comic Books You've Never Heard Of! 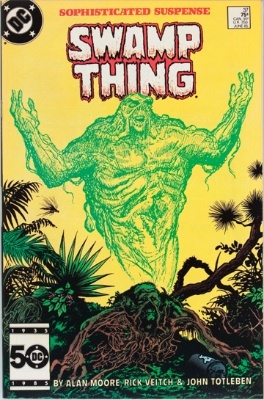 Five Origin and First Appearance Comics You've Never Heard Of! 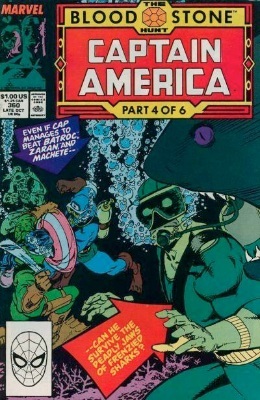 There are many hundreds of so-called "key issue" comic books that almost everybody knows. Hopefully this little newsletter will turn into a nice holiday gift for you all -- this year and for many years to come -- as you turn up lots of new comic book investment opportunities! These can still be picked up in complete runs and sets. Big deal at the moment. Why? Make a sentence from the following words: RUMORS BLOODY INTERNET MOVIE. The Ant-Man movie needed a bad guy, and apparently Crossfire is it. This will make Two-in-One #52 the poor man's Jimmy Olsen #133... Probably. 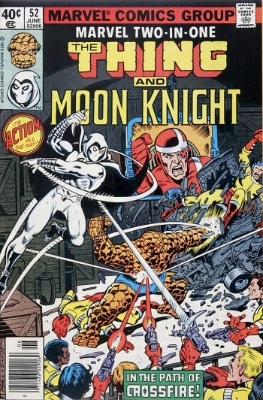 This is a Moon Knight appearance too. The lack of recent sales will soon be remedied as dealers rush their back issues to market. 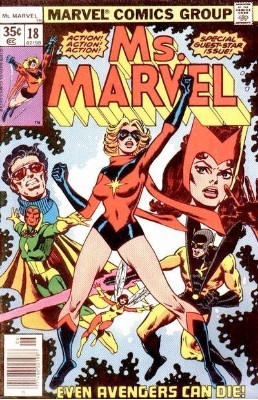 I was sick as a parrot to find a Ms Marvel #18-sized gap in a Bronze collection I recently acquired. Fortunately the CGC 9.8 grade for #1 made up for it... but still! Gift horse in the mouth, etc. First full Mystique. Insert your choice of movie rumors here. 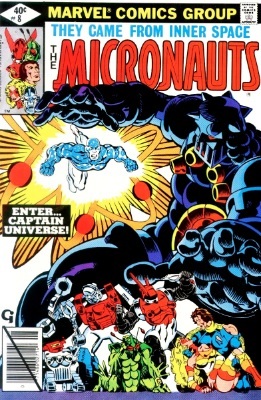 Mega TV show rumors have driven the price of this first appearance higher and higher. Softening ever so slightly now, but sure to be a good one to have for years to come. Hundreds More 1st Appearances... and How You Can Help! You can find EVERY (almost) first appearance of a major superhero or super-villain in our Origin and First Appearance index. I hope you love it as much as I do -- it was truly a labor of love, both for me/my writing team doing the research, and me building the thing over many months. 1) Point out errors and omissions -- drop me an email (you can just hit reply) with what you've found lacking. We (and future users of the index) thank you in advance. 2) Share the love -- get on Facebook, Twitter, or your favorite comic book forum site and talk about our index. The more people who see it, the better it works to help the entire community.